Thank you for your interest in shipping our babies!! We have several options available and we will do our best to help you have a positive shipping experience. Shipping arrangements take quite some time and we require that individual hedgehog selections are made within two weeks of the shipping date. There will be a $20.00 boarding fee per week for hedgehogs that are reserved and not transported within the two week time frame. We believe it is important for baby hedgehogs to go to a new home as soon as possible. There will be no substitutions or changes after the two week limit. 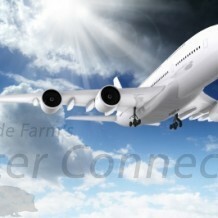 We only ship Premier Plan hedgehogs via airline because this plan offers the benefits required for the detailed process. For the most cost effective shipping for both you, and us we need to ship at least six hedgehogs via airline on the same day. The total number of hedgehogs shipped in one day definitely includes any hedgehogs going to other individuals. That cuts down on gas and our time away from the farm to and from the airport. Our round trip to the airline is five hours. We will not ship hedgehogs via airline to customers within four hours of driving time to our farm. Booking flights can be quite a challenge due to the time spent on the phone with the airlines and then relaying all the shipping information to you for your approval. This is where we need YOUR help. Please call Call United Airline 1-800-575-3335 to verify that there is an airport near you that has flights that can transport animals. Not all airports can accommodate airplanes that can carry animals in a pressurized, heated cargo area. Due to our distance from the airport and the fact that we have to be at the airport 90 minutes prior to the flight we cannot use flights that leave Detroit (DTW) earlier than 10:00AM. If you have the flight numbers for the shipping day it will make booking your flight much easier for us, but providing the numbers is not necessary. Most flights will arrive in the late afternoon to evening. Depending on your location, the only flight available may arrive late in the evening or early night. Do NOT book the flight. Only check for flight options. We will make the final reservation for you. Cost of one hedgehog $185.00. Shipping $200.00 for 1-2 animals with a total weight of under nine pounds. Three or more hedgehogs with a total weight of ten pounds or more $250. The shipping price is based on the weight of the carrier. We will refund the additional charge of $50.00 if the weight of the carrier falls below nine pounds for three or more animals. Any other special request including additional photo shoots will have additional charges. You will not be required to pay until final flight arrangements are made. There will be NO REFUNDS after the final payment is made prior to shipping. It will be your responsibility to arrange for transportation if the initial flight arrangements are cancelled. Confirm a shipping date with us. Reserve your hedgehog with a $25.00 deposit by choosing an available baby. Be sure to indicate in the notes section the day and airport your baby will be shipped. We generally ship on Tuesdays and Thursdays so please choose the date of pickup as the date prior to your shipping date. Look for and pay the invoice we send to you. Watch your video we send you to make sure you are in love with the hedgehog you have chosen. We will be happy to make another recommendation if your baby is not what you expected. Order supplies ASAP. Our Deluxe Package is highly recommend. By pre-ording supplies including food you will save on additional shipping weight. Also, order your cage and accessories. Many of our accessories can be shipped. Once we receive full payment we will book your flight. **This is important. ** There are limited flights leaving Detroit that allow pets. The airplanes can typically only accept two small crates per flight so it is important to reserve your spot as soon as possible!! We love to spend time with our customers here at the farm but obviously that isn’t possible when we ship our babies. Once you place your deposit on a baby we will send you a video of us handling your baby via text. This may take a day or two depending on our work schedule at the farm. If for some reason, you do not like the video of your baby, you will be able to choose another hedgehog. We will also suggest babies that we believe will do best during the shipping process. Shipping animals is something that airlines do every day. We use United Airline for their proven track record. However, accidents happen and animals may perish either during the flight or as a result of trauma (usually heat related) during the flight. Millermeade Farms is not responsible for the health of your animal beyond our standard health guarantee. At Millermeade Farms we take great pride in the health and well being of our animals. We promise that we will not ship any animal that does not meet our high quality standards. We will be happy to obtain a Veterinary Health Certificate for your animal for $60.00. We need at least ONE-week notice in order to have time to schedule and obtain the certificate. We suggest finding out the airline’s policy on animal trauma due to temperature and never sign for the shipment until you have inspected the animals. Check with your airline as many do not offer shipping insurance unless a health certificate is provided. You might also consider purchasing insurance from your homeowners insurance company for the cost of the animals and the flight should something happen during the flight. The best way to save on shipping is to ship with a friend!! The shipping costs are the same per crate as long as the crate doesn’t exceed the maximum weight for the fare quoted. If the cost of the shipping moves up to the next freight bracket it is still cheaper dividing the cost by multiple people. We suggest spreading the word that you will be shipping hedgehogs from our farm! YOU will be responsible for collecting their portion of the shipping fees and arranging pick up times for those not meeting you at the airport. We have also noticed that animals travel better and that other breeders have reported fewer problems when animals are shipped with a “friend” than when animals are shipped alone.